Ten tales by a Jewish-American author of the early twentieth century offer timeless depictions of immigrants' struggles and dreams. Set in New York City's teeming Lower East Side, this lost masterpiece provides rich psychological portraits of mothers, daughters, and sisters as they attempt to find places in the New World. During her early childhood, Anzia Yezierska (c. 1880-1970) emigrated from Poland to New York City, where she worked in sweatshops by day and studied English at night. She drew upon her own experiences to write these stories as well as novels and screenplays focusing on issues of acculturation and assimilation. Hungry Hearts, which originally appeared in 1920, inspired a popular film and holds the historic distinction of being the first publication by a Jewish-American woman writer. 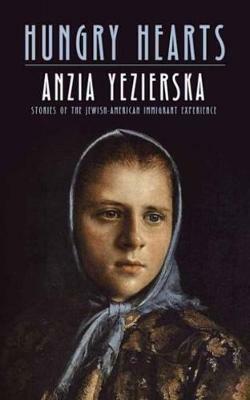 During her early childhood, Anzia Yezierska (c.1880-1970) emigrated from Poland to the United States, where she grew up on New York's Lower East Side. She drew upon her own experiences to write short stories, novels, and screenplays that focus on issues of acculturation and assimilation.